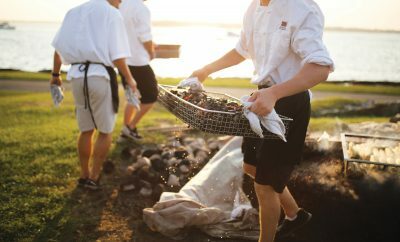 Originally published in the July issue of Newport Life Magazine. On the first evening of grad school at Brown University in 2008, Natasha Catlin’s ID was confiscated while trying to get a drink at the bar. Tiverton native Derek Aguiar explained that he’d return it under one condition: she agreed to a date with him. Of course, the Fairfield, CT, native accepted. 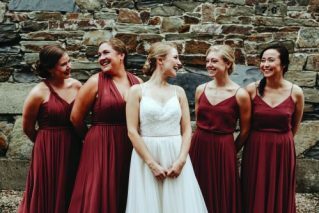 Eight years later, just two days before Christmas, he took her to Roger Williams Park Zoo where he popped the question in front of her favorite exhibit: the elephants. 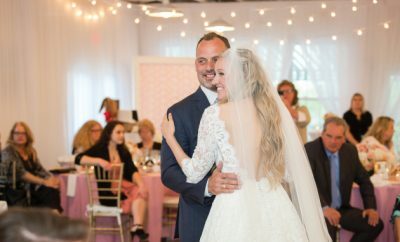 Not only did the Audubon Society allow for a free-flowing, non-traditional event, which was important to the couple, but they also found scientific satisfaction in knowing that the venue rental fee supported the education center. 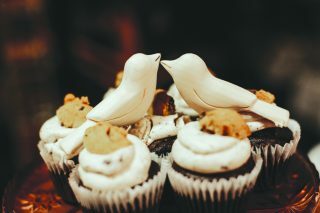 To stay with the theme, they added packets of birdseed to be thrown and tiny wooden birds on top of the cupcake display. It’s eucalyptus. 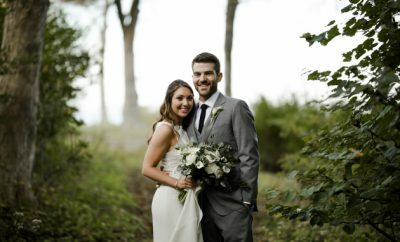 The couple loves the smell so much, they incorporated it throughout their wedding day. 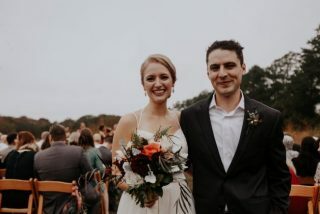 From the centerpieces to the seating, and even a garland around the officiant’s neck to differentiate the groom’s lifelong friend from the groomsmen, these sprigs of green were meticulously placed throughout. 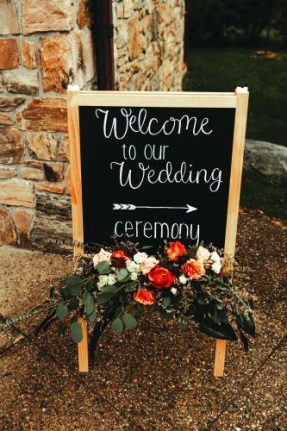 It was important to the couple to keep the wedding close to Tiverton, where Derek grew up and in the area that his family resides, so Bristol was a natural fit. His grandmother, age 93, was in attendance too — she had inspected Natasha’s fingers for six years until she finally saw one of them adorned with the ring she had been waiting for. Derek and Natasha returned home to Pawtucket where Derek is a computer scientist at Princeton University and Natasha is a Reproductive and Developmental Toxicologist at Pfizer.